So I thought moving into the dorm room was going to be a breeze. We had been given the layout of the room and furniture for the typical room. The assigned room was in a dorm we had seen before. There were no surprises, right? Wrong! 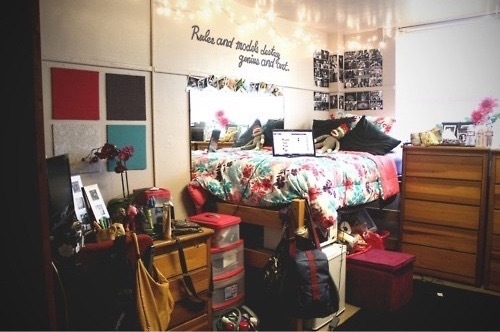 The typical room in the building had lofted dorm furniture. That means the beds were each on stilts and were both functionally ‘top bunks’. 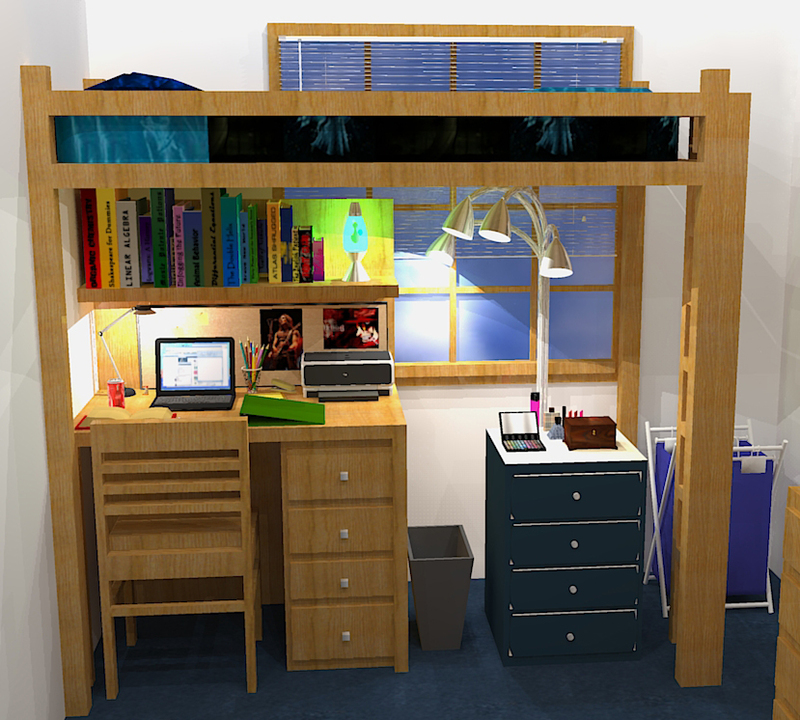 Under each bed was each student’s respective desk and dresser. Effectively, each room only used the floor space of two beds while storing two beds, two dressers, and two desks. Our assigned room, however, was different. Instead of being lofted, it had bunk beds that were not bunked. So instead of using the floor space of 2 pieces of furniture (i.e. two beds with furniture underneath) we had the floor space taken up by 6 pieces of furniture (2 beds, 2 desks, and 2 dressers). This resulted in ABSOLUTELY NO FLOOR SPACE. There was not even enough space for the pop up hamper we had, much less the bookcase/ cubby my daughter envisioned having. We did some clever organizing and ultimately like the room we were assigned even better than the ones that were initially easier to set up. When we arrived the bed by the windows had already been set up. The bed in the corner was ours. It was what would have been the top bunk bed. This made the bed a little higher off the ground that some. 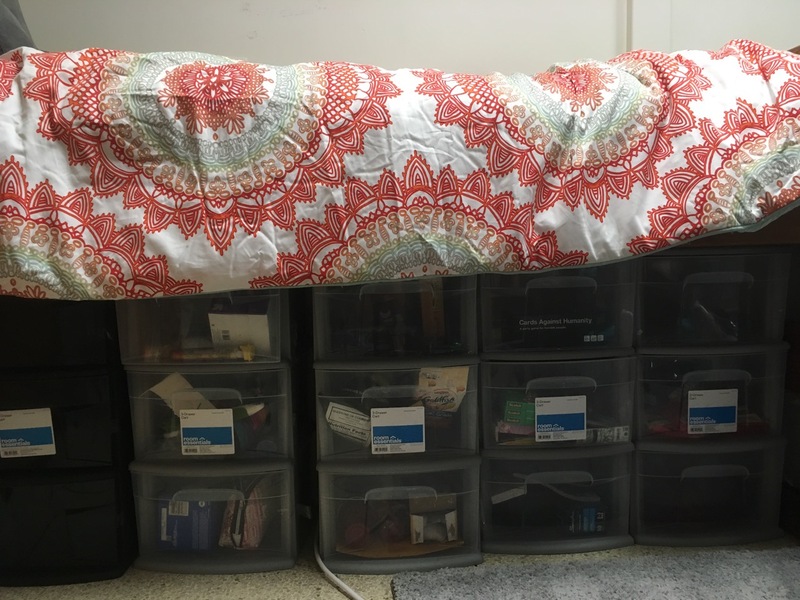 With the help of our tape measure (see post of what to pack for your dorm room coming soon), some measuring, and internet shopping, we found we could store 5 of the 3 drawer plastic chests under the bed with room to spare. We opted for 4 gray ones so they would be less obvious when you entered the room. They have clear drawers so that you can see what is inside. This is particularly helpful if your child does not like labels on the drawers. Depending on your color scheme, white works nicely as well. 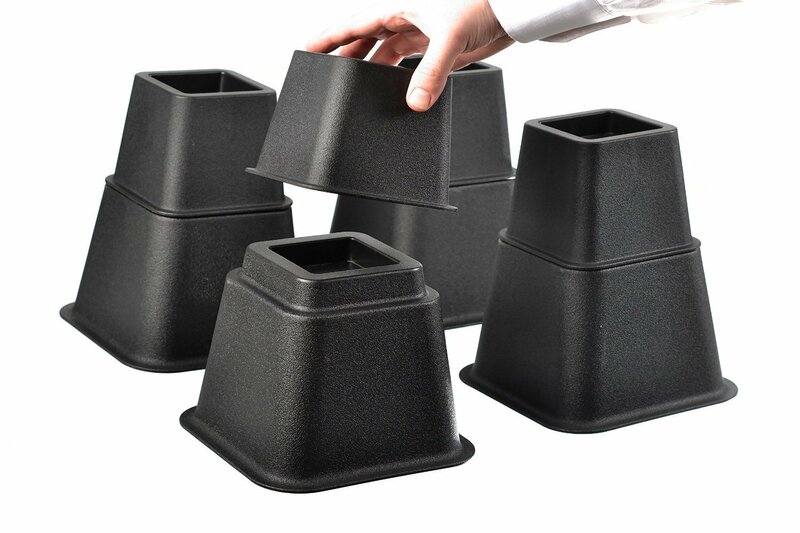 The fifth bin we got in black. As you see it recedes into the room so it is less obvious. We left the sticker on so you could see it. This is a great place to store all the things you don’t particularly want to be visible. 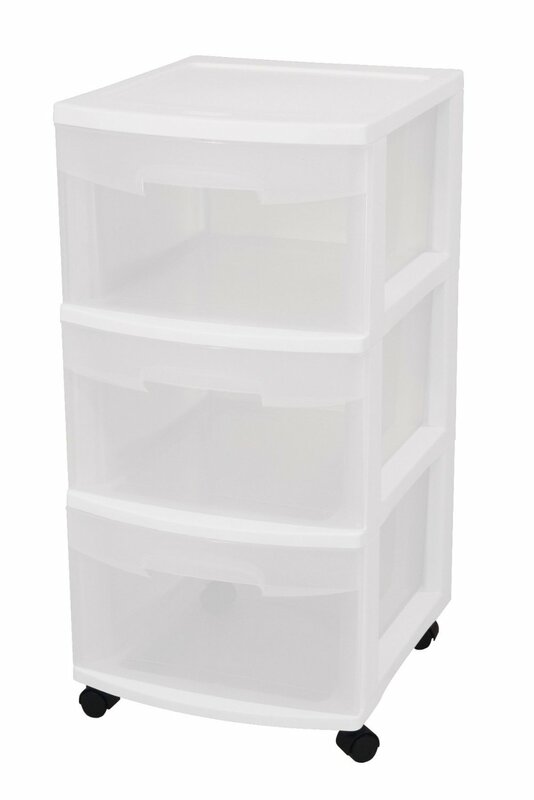 The come with casters but if attached the units would be too tall (25″+) for our space of 24″. We just left the casters in the drawer should they be useful in the future. To fit them under the bed we had to lift the bed and slide the units under the wood frame of the bed. 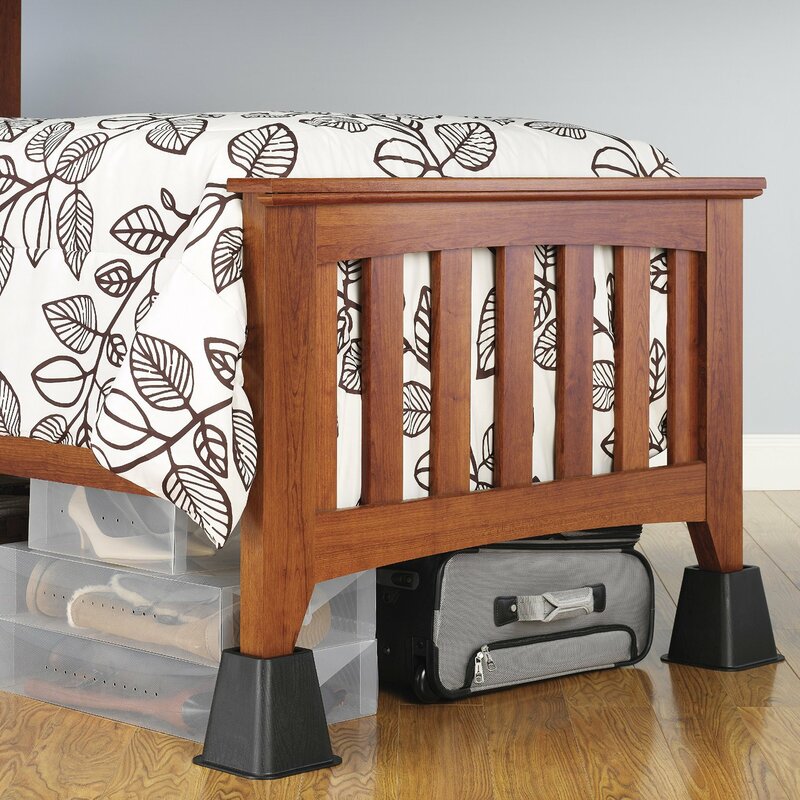 Note: if you do not have the higher of the two bunk beds, you can get bed risers to add extra height. Items to make the most use of the limited storage space you have. Below are some of our recent finds, if you are interested in a particular item, there is an embedded link in each picture below to make it convenient for you to click on the item and get in time for your next move in. Very helpful for students and parents who are preparing to move in, wish I had seen this before we moved our daughter in. Wow, you thought of everything! Your daughter is fortunate and prepared! Glad you found it helpful, I’ll try to post a little earlier next year! I see a lot of interesting posts here. I love your fresh content.